Towne and Forrester works with farmers in Latin America to build capacity to organize themselves in cooperatives and associations. Often the goal of this activity is to help associations become Fair Trade certified. Once a farmers association is Fair Trade-certified, buyers must commit to a minimum price and help finance a social premium fund that the cooperative uses for community development projects. Towne and Forrester does not certify Fair Trade standards, instead it helps cooperatives understand how to meet the standards and how to build strong democratic organization within the cooperative. From 2005-2007, Finca Project (now Towne and Forrester) worked with Coopepueblos RL, a coffee cooperative in southern Costa Rica to build organizational capacity and to complete Fair Trade requirements for environmental management of the cooperative members individual coffee farms. Starting in 2005, Finca Project gave workshops to members of the cooperative on Fair Trade requirements. Then based on a democratic vote amongst the cooperative members, Coopepueblos RL asked Finca Project to help the cooperative develop an environmental management plan which included building a nursery of native trees for cooperative members. Fair Trade requires that each farm have a minimum number of native tree species beyond coffee. Finca Project provided these services pro-bono to Coopepueblos, and financed the nursery through small grants from US foundations. Finca Project’s interns and volunteers volunteered their time to carry out this project. From November 2010 until the present, Towne and Forrester has been working with Fundación Runa in Ecuador to develop a farmers association for the production of guayusa, a native tea-like tree in the Ecuadorian Amazon. 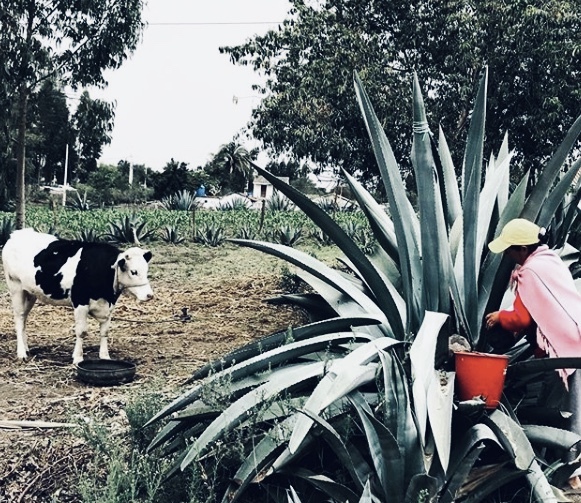 Towne and Forrester provided consulting services to Fundación Runa so that its members can better understand Fair Trade requirements for autonomy of the farmers association, and provided strategic advice in working with indigenous communities. Towne and Forrester has presented two workshops to Fundación Runa’s farmers on financial literacy and community banking. Towne and Forrester plans to continue its current work while also expanding to work with an all-female cooperative farmers based in the Ecuadorian Andes. High in the Andes, a group of indigenous women in the town of Cayambe harvest and sell “chawarmishki” in a variety of products. The indigenous people have harvested the sap of the agave plant for thousands of years. This sacred plant gives life to the people and the landscape of this high desert. Recently, a prototype liquor has been developed, giving potential to generate significant income for these rural communities and to incentivize the sustainable management of a the fragile, arid ecosystems of the Ecuadorian highlands.